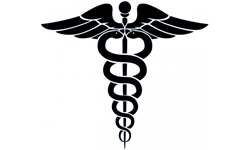 Are you a relocating doctor or a physician looking to start a new practice? From that comfy corner bistro to a fully equipped restaurant. 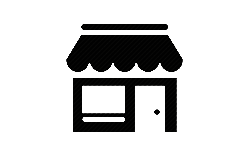 Sell your next big product or service with professional storefront space. Need an office for your new or existing business? Opening a business or moving to a new location in Lakeland? Lorio & Associates, Inc. is a Lakeland, Florida based real estate firm, offering specialized brokerage services, with a focus on commercial property management, leasing, and sales. With over two decades of knowledge and experience with the area, Lorio & Associates, Inc. provides a great resource for locating the perfect site for your business or investment opportunity. Property management and commercial real estate are what we're all about. We have been serving Polk and surrounding counties since 1993. Our clients trust they can count on our skills in property management, sales and lease transactions. Yarnall Maintenance is our in house maintenance company that is on call 24 hours 7 days a week to handle any maintenance calls for our clients. We are here to talk to you and answer any questions that you may have about our services. Give us a call today or stop in. We look forward to meeting and getting to know you better. I met Joe years ago when I started buying property around Polk County. Luckily for me, Joe sold me my second property and I gave him the lease on the spot. His office has given me the all-inclusive treatment and allowed me to relax when it comes to my building’s management. This was my first adventure into the world of commercial real estate and I wasn't sure if I needed a property manager. After meeting with Joe, he was able to explain to terms of the lease and made me feel comfortable with taking on my first office! It's been 6 months now and I'm getting ready to expand into the unit next door! Sell your real estate fast! Time is money. When you've decided to sell a property, there are can be many variables and aspects to the sale that you may not have considered. For many, this can be an overwhelming process and that's why we are here for you. Your real estate will sell according to how long it's been on the market and how well it has been marketed. More specifically, property will not sell because it was priced too high or it hasn't been seen enough. When you've had your commercial real estate on the market for more than six months, that's a tell-tale sign that one of the two reasons are in play. Either you've priced your building too high, or not enough have been able to find it. To circumvent this issue, Lorio & Associates will connect you directly with our network of buyers, lenders, vendors, and any other constructive resource needed. We've been working in Lakeland for over 25 years and retain over 50 years of collective experience with our in-house brokers. We sell faster and more frequently than most brokers due to our specialized experience in the Polk County area. 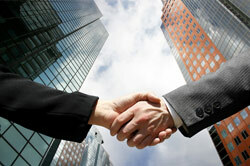 We help buyers and sellers of commercial real estate find each other faster than any other brokerage. We pride ourselves on offering a complete business building solution and can also help you in finding a website, janitorial services, or any other new business need. When you need a property manager, you want a local representative that knows the area. 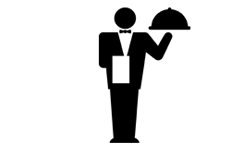 Our Property Managers are trained and are available even after hours for our client’s needs. We treat every property as if it were our own and can offer extended marketing and advertising services to help lease or sale your space faster than a traditional property manager would. Don’t settle for just anyone to manage your property. We have been in the Lakeland area servicing property owners and brokers for over 25 years. We are one of the most experienced and trusted commercial real estate and property management firms in central Florida. 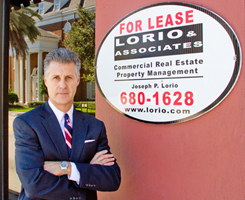 At Lorio & Associates, we offer an all-inclusive commercial real estate experience. Once you’ve found your new real estate, let our property managers in central Florida offer the peace of mind you deserve. of serving the central Florida community!